We are a leading Exporter of centrifugal monoblock pumps, back pull out centrifugal pumps and centrifugal connector pumps from Vadodara, India. We are manufacturing, supplying and exporting high quality Centrifugal Monoblock Pumps. 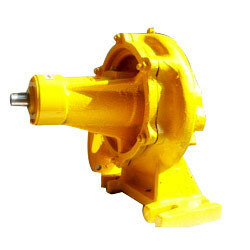 These pumps are extensively used in chemical industries, refineries and petrochemical industries. Our quality controllers stringently inspect these pumps on certain parameters of quality to rule out every possibility of defect. 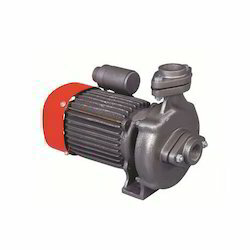 Being a customer focused organization; we are engaged in manufacturing, supplying and exporting a wide assortment of Back Pull out Centrifugal Pumps. The offered range is a compact solution manufactured using high quality stainless steel and other material. We offer these pumps to our clients in a spectrum of specifications. We are the stalwarts in the domain of manufacturing, supplying and exporting high quality Centrifugal Connector Pumps. High quality steel and other material is brought into use by our experienced professionals to manufacture the offered pumps. These products are used for a number of chemical process applications in various Industries. Looking for Centrifugal Pumps ?